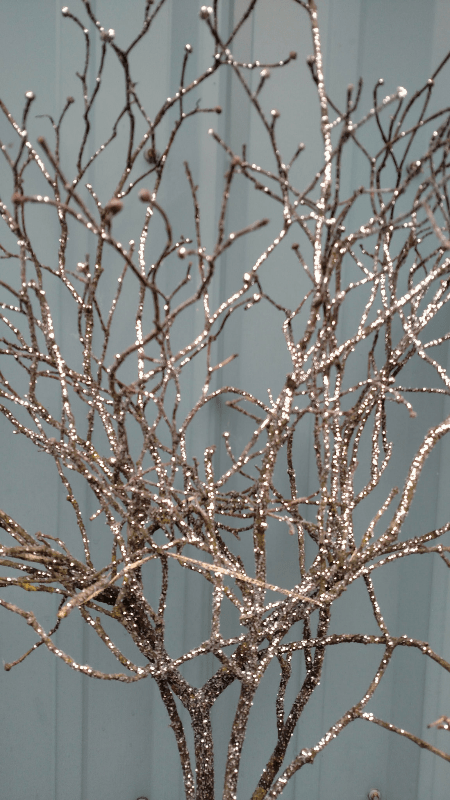 Winter branches with sparkling glitter. Flowering dogwood, tulip magnolia, mountain huckleberry, budded forsythia, or other winter branch coated with glitter. 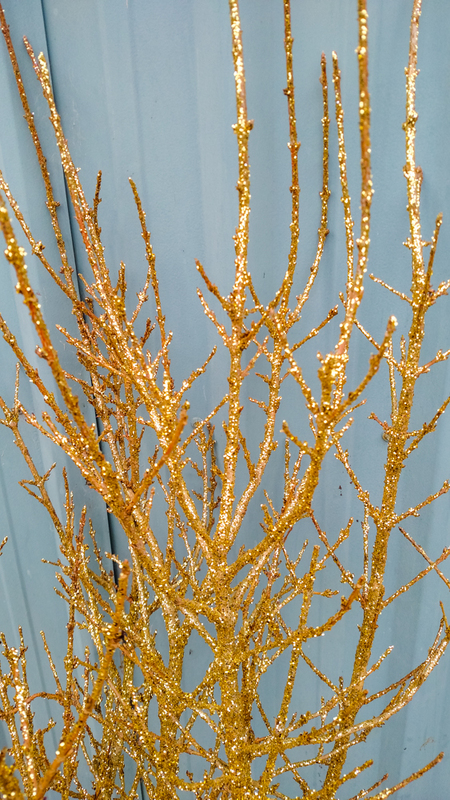 Choose gold or silver glitter to compliment any holiday or winter decorations. Sold by the 10 bunch bundle and shipped FedEx, air cargo, or by truck. It is too stormy to take a photo, but most of the what you see in this photo is under water at the current time.